What makes it worse is that most of the characters feel like they are just toys or abstracted super soldier's that could honestly be anything. Make the characters interact. Have their own motives. "I join your cause because..." "I'm going to betray the raven Lord later huhuhu.."
But instead they just cheer and fight. Or get copy pasted with a new evil clone theme. I guess they kinda do this with Deckard. So it shows that the real problem is the pool of characters is just way to big for such a small comic series. A big part of the problem is that they are skipping over or outright ignoring the parts of the story that could be interesting. How did Raven Lord trick the horde into fighting for him? How did the alliance lose the battle for alterec pass? 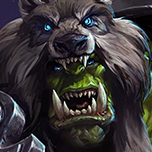 Is Drek'Thar pissed off about being used as pawns in a cosmic game? Maybe the real Alarak and Gul'Dan show up to kill thier dark nexus doppelgängers, accidentally wind up saving a bunch of people in the process and get hailed as heroes. So many possibilities, but they do so little with it, it's infuriating. ya see the lore isn't that interesting yet cause we haven't gotten to the MEATY parts yet. It will be HYPE when the Raven man collects all of them realm nexagons to summon the almighty Murky destroyer of worlds to tear apart the nexus! To Blizz in general, maybe. But if htat's what the developer wants, HotS is the wrong game for them to develop, because "to make you happy with your stupid legacy heroes" is exactly the reason HotS exists. Generic OP Badguy wins because Generic UP Goodguy and Goodguy Mooks are generically underpowered, stupid, and/or incompetent. "Generic OP Badguy" won because he had more "Singularities", that's what made him OP. The way I see it, "singularities" are supposed to represent the source of power in the Nexus, giving a reason for the conflict, and explaining why this "Generics" and "Nobodies" are so much more powerful than the Heroes you play. Also, I think Gems and Shards are suposed to be related to Singularities, granting a sliver of their power (hence why they can be used to summon heroes and mounts, respectively). It's still slightly different, because it has Blizz heroes in addition to the no-names. but if there are too many new OCs, it does loose a lot of that charm, and the Bliz heroes become just a nice detail (kind of like that one mobile MOBA with the DC heroes in it, what's it called again?). Hope you're right there, and we end up having a single OC if at all. Also hope Classics is brought out of that exact position, though. Heroes of the Storm in essence, was built on the idea of seeing old favourite characters from all Blizzard Games have an all out fun brawl much like Smash Bros. Literally every cinematic they have made in regards to Heroes always consisted of a character that's well established in their own universe. Why do they do that? Because that's what people want and expect, it's what caters more people to play this game. It would be a terrible idea to add something entirely new character in a cinematic when the whole point of Heroes is to see classics fight each other. People such as myself came to this game because we want to see stuff like Lich King vs Diablo or something similar to all the other Cinematics that Blizzard has released for Heroes, especially the first cinematic where it shows Raynor, Nova, Tyrael vs Diablo, Kerrigan and LK. 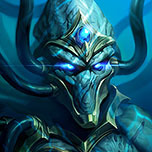 Instead we're now getting so much focus on these Nexus-Lords and other characters that most of us has 0 attachment it on, which is quite frankly quite misleading. It would be like if SMITE started to add characters that has nothing to do with Gods/Demi-Gods from Mythology. 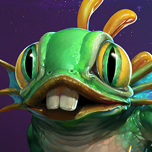 So adding a new character quite frankly kinda breaks that concept that Heroes of the Storm has spent years relying on entirely, making it no longer different from other games like LoL. If they wanted to add new characters, they should of implemented them from the very beginning of the game with a better developed character story arc so people can actually grow more attached to them, much like what Overwatch did by having animated shorts on several characters. If they did this from the get-go I wouldn't have any issues with it because I would understand it's a entirely new game with a new universe therefore new characters. It just feels rather misleading that the original concept of Heroes of the Storm, the very thing that the game is being built gone is now being ignored because they want to add something entirely new that most people don't really have that much attachment on. Like I said, my main issue is that they're putting effort on something entirely new when they already have a whole bundle of established material that they could experiment on and mix together. It's like if someone was told to make a Star Wars movie and instead of using all the well established material or at least use it as a inspiration, that person entirely ignores it completely and makes something new. It would be such a waste and quite cheap of them to use that title when it has barely anything to do with it. I mean who doesn't want to see a Scourge vs Zerg situation? There's so many potential concepts and for some reason Blizzard decides to with something entirely different. Now I know there was kind of a Horde vs Alliance situation for Alterac Pass but that was overshadowed by the fact that the Alliance serves the Lady of the Thorns and Horde works for Raven-Lord when they really should be leaders themselves. 100% This ^, I've got a massive issue on how majority of the classic characters have 0 self motives and they're essential just pawns for Nexus-Lords that have generic personalities. If some of these Nexus-Lords are actual characters from the main universes, that would be much better. 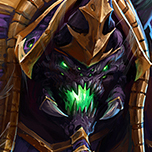 Like let's say one of the Nexus-Lords is the Lich King and he plans to infect the other Realms with the Scourge? This would be great because the LK is already a well established character and it makes sense that someone as powerful as him would be a Nexus-Lord. Anyways, I'm just hoping the Developers somehow read this and understand that they should use the well-established characters from all the other Blizzard Games because I can guarantee it'll be a lot of fun seeing old favourites fight each other. Now since it's very likely they already started and can't change their directions on these 'HoTS original characters'. My suggestion is that they need to build them up A LOT. And I mean A LOT, like equal amount to Warcraft Characters to make them anywhere near likeable. Short comic-book chapters is not enough, they need to start doing like some small animated series where 'insert original heroes character' is the main character and he/she travels around the Nexus and doing stuff with WoW,Starcraft, Diablo or Overwatch characters. This would build so much universe making + character development therefore a proper attachment to a new character rather than having 0 attachment because of the lack of characterisation added. Also importantly, they need to balance it them with the classics. Don't focus on them so much (like spending a whole year with this Raven-Lord story) and ignoring all the other universes characters. 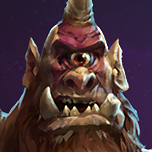 There needs to be a balanced distribution because they should not forget where Heroes of the Storm came from (aka it's old Blizzard Game characters). 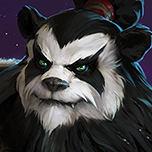 It just feels like a major insult we are getting a new character rather than a character most people would rather see like Deathwing or other fun classics. I love Blizzard, I've been playing their games for a long time and I know they have so much better potential than this. Which is why I'm so motivated to express my current feelings towards the story direction. And yes, while this game is MOBA therefore it shouldn't necessarily be so focused on the story, they're already building into it so they may as well make a story that's relatively decent and fun. People will still be able to play Kerrigan vs Sylvanas, even if they added Orphea to the game. And Orphea is a perfect hero for people who want the game to keep developing. Yeah I think people are forgetting Heroes of the Storm exists solely because of it's implementing classic characters from Blizzards other games into one game. If they wanted to create new characters from the beginning, should of just made a different game or as Pride suggested, implemented them from the beginning + establishing some character/universe background. Like maybe have the Nexus-World introduced as a constant War-Zone and in desperation one character (Lets say, Orphea) starts summoning Heroes from WoW or whatever to turn the tide of the war. Either way the point is, those 'Nexus' characters need serious background build-up cause all the other game characters have years of build-up, so comparing the two clearly one is lacking so much in comparison to the other. I would be totally more invested in Orphea if there was some short animated series where she starts recruiting other universe characters in preparation to fight someone rather than the comic-book chapters we have right now. I'm surprised this game even has a storyline. Sorry I should of been specific, I'm not talking from a game-play point of view I'm talking about from a story-time or event viewpoint. Like instead of Raven-Lord vs Lady of Thorns. Have a Kerrigan vs Sylvanas event where you pick sides and stuff. Make the classics characters we have grown to love be actual leaders in this all-out brawl world rather than being pawns for characters we barely know of. Have these powerful characters actually be leaders and making their own factions in attempt to rule the Nexus-World, it just feels so wrong that a large chunk of them are just merely pawns and practically have 0 voice or self motive. A lot of these 'Nexus' characters are just a discounted 2.0 versions as well. Raven-Lord is literally just a generic evil guy with similar Medivh aspects + with the same voice actor who plays Nathanos from WoW. They could easily just replace him with a powerful villain from Warcraft and people would be more invested because they're more likely to know who that Warcraft character. Take example for this, you could replace Raven-Lord with the Lich King with him having the same intention (ruling the nexus-world and conquering the realms) and have Orphea replaced with someone like Jaina or another relevant female character. 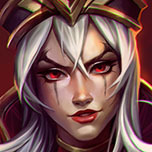 I can guarantee you people would probably be more invested on that ^ than Raven-Lord/Orphea because they're so expendable right now. 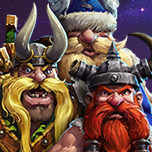 Plus Heroes of the Storm is created on the basis of seeing these classic game characters being together in one world as a what-if scenario, it doesn't make sense on making something entirely new outside the games. -Queen of Thorns: Kerrigan, Jaina or even Johanna. I would stop playing when the first original Nexus character will be added to the game as a plsyable one, because this is a Brawler from multiple games from Blizzard, it is the Smash Bros of Blizzard, and no one would be happy to see a original character in Smash Bros. I disagree here. I think a co-op story campaign would be awesome for HotS. The campaign could explore all Blizzard universes, including the Nexus Lore. This is where Blizzard can finally add in some much needed tutorials and challenge modes for all players. They can also add in PvP levels so it's not always PvE. The possibilities would be endless with a campaign and I'm fairly certain it will draw more players. LoL is doing it, so I'm hoping that pushes Blizzard to do it as well.